Looking for a licensed heating and air conditioning repair technician in Manahawkin NJ? As a local air conditioning repair company in Manahawkin, NJ, Air Tech has been the preferred choice among many home and business owners since 1999. Providing air conditioning repair solutions at competitive prices, we can keep your AC system running efficiently and help you save all season long. 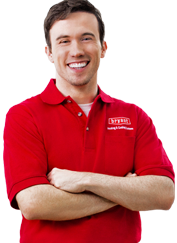 All of our service technicians are NATE- and EPA-certified, highly experienced and provide superior customer service. We are Bryant factory authorized but we also service and repair all major brands. 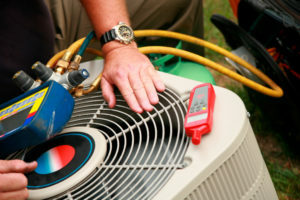 With trucks stocked with commonly needed parts such as condensate pumps, motors, connectors, fuses, and the latest equipment to troubleshoot, diagnose and repair your air conditioner, our team is ready to resolve most issues on the first call. We take pride in delivering top quality air conditioning repair services for both residential homeowners and commercial properties. And if you need emergency air conditioning repair, we are available to assist you, 24 hours a day, 7 days a week- even on holidays. Call Air Technical Services for more information about repairs for your home or small business air conditioner. Did you just move to a new home? Or maybe the unit you currently have is starting to act up. Regardless of the reason, we bet you have some questions. Our team of air conditioning repair experts in Manahawkin, NJ have put together this quick and easy list of commonly asked questions and answers below. If my old air conditioner still uses R-22, what should I do? If you have an older air conditioner that uses R-22, you can expect higher than normal air conditioning repair costs in the coming year. The E.P.A has encouraged everyone to upgrade to the newer, high-efficiency R-410A refrigerant in effort to limit R-22 which has been deemed hazardous to the ozone. In a lot of ways, R-410A will be better because it’s both environmentally-friendly and more efficient. Your air conditioner runs, but doesn’t cool your home efficiently. The unit turns on and off more than usual. It’s starting to make noise. The AC unit isn’t blowing air as strong as usual. How old your AC unit is. What kind of refrigerant it uses. How often the air conditioner needs repairs. No matter the situation, our technicians can give you all the information you need and help you determine whether your AC unit needs repairs or a replacement.